Set in a peaceful lush garden, Lotus Bungalows is located on the main Candidasa strip. With a very high standard of service and comfort, it is the perfect place for honeymooners, nature lovers and diving enthusiasts. Lotus Bungalows embrace the mystique of Bali, with its bewitching natural charm, beauty, and culture. 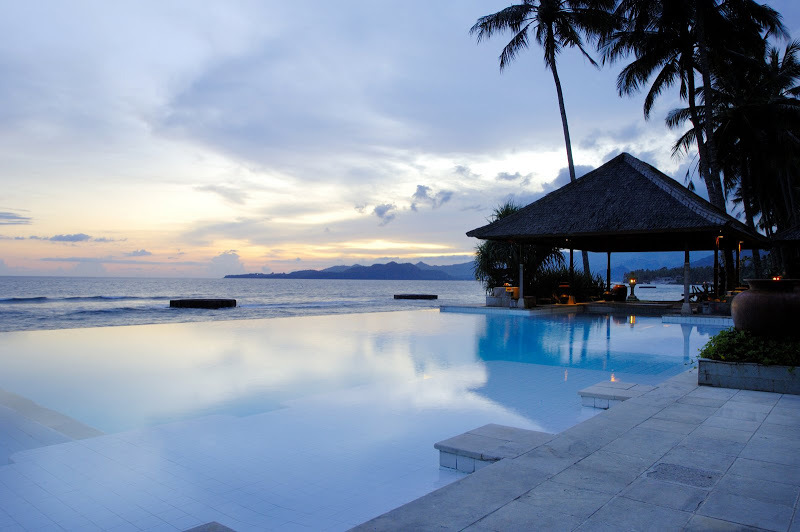 The friendliness and hospitality of its people provides you with an exotic and relaxing holiday. 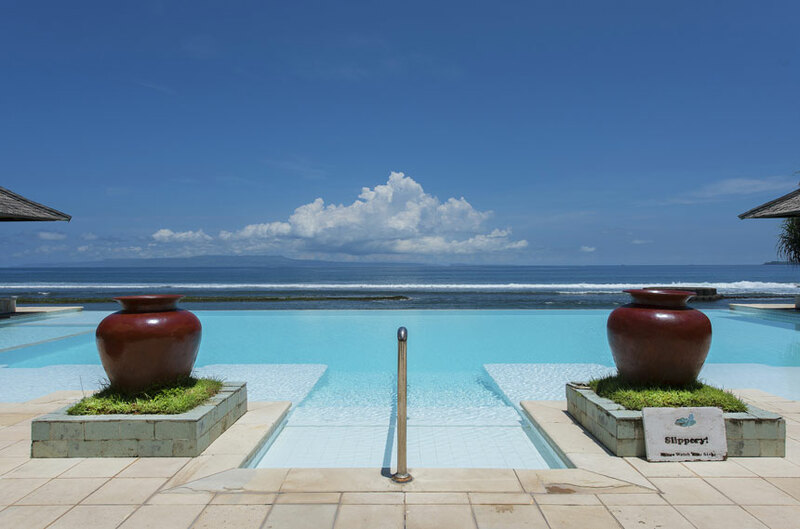 Feel the warmth sun of tropical sun and the cool ocean breeze as you swim in our large swimming pool overlooking the Lombok Strait. Beach beds and free use of beach towels are available at our pool. 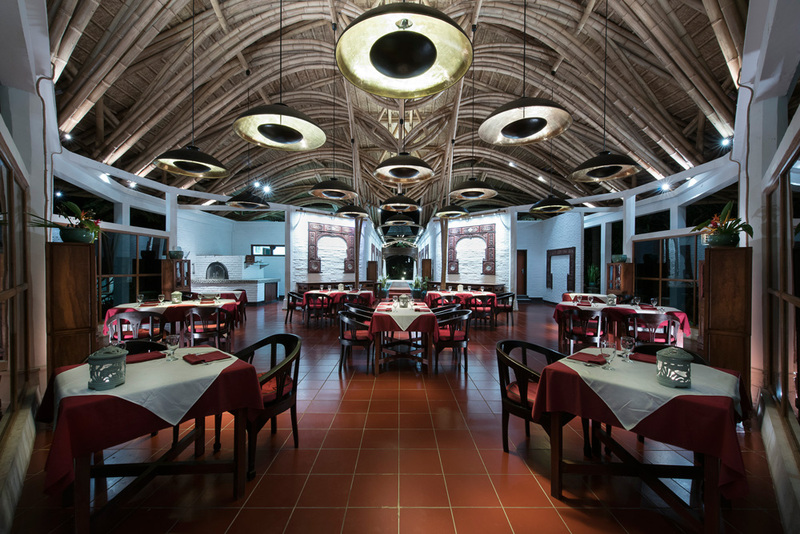 The restaurant serves a wide choice of international and local cuisine focusing on fresh seafood dishes to delight your taste buds. Our hotel has a beautiful yoga studio where private and group classes can be arranged exclusively by request. 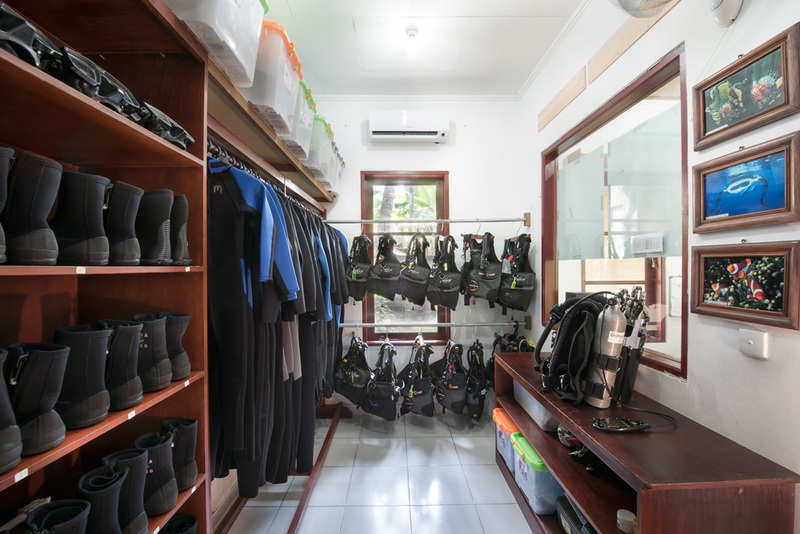 Gangga Divers is a full service diving facility operating according to PADI best standards. The personalized service and attention to safety reflect the excellence already widely associated with the image of Lotus Hotels & Resorts. 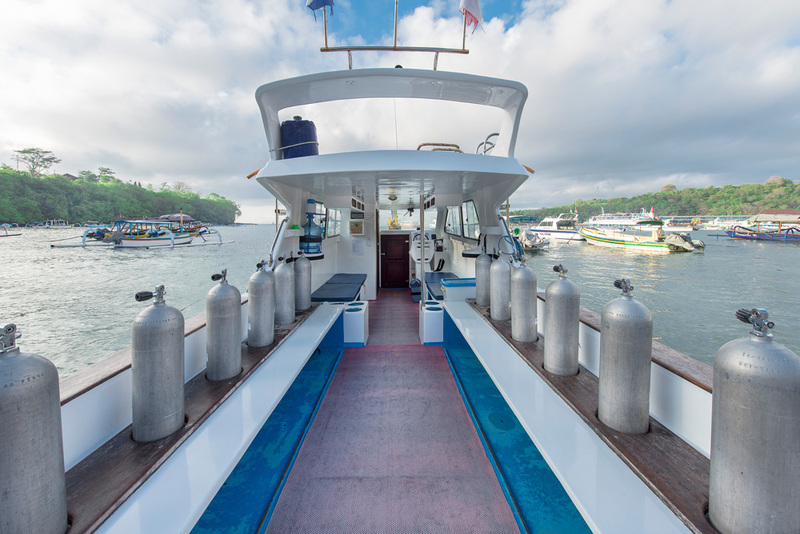 All certified divers are guided by PADI Divemasters or Instructors with the ratio of no more than 4 divers to 1 guide. Gangga Diver’s boats are designed and built for safe and comfortable diving. Cash in US Dollars, Euro and Indonesian Rupiah are accepted. By regulation of the National Bank of Indonesia we are not allowed to accept payments from abroad by Credit Card. However we accept payments by VISA and MASTERCARD at the resort to pay for extras. Please note that a 3% bank surcharge will be added to the original spend.